RQE models for wildfire, severe convective storms and inland floods now capture the full risk spectrum and are available via flexible delivery options. CoreLogic (Irvine, Calif.), a global provider of property information, analytics and data-enabled solutions, has released RQE (Risk Quantification and Engineering) solution v.18, which includes U.S. Wildfire and U.S. Severe Convective Storm models to answer the mortgage and insurance industries’ increasingly comprehensive risk assessment needs. The company also announced significant updates to its U.S. Inland Flood model to better reflect region-specific property characteristics and to improve on the treatment of flash flooding in light of 2017’s major weather events. The launches represent the ongoing commitment from CoreLogic to provide accurate, high-resolution models detailing the full risk spectrum for customers as the economic impact of catastrophes increases, a vendor statement says. 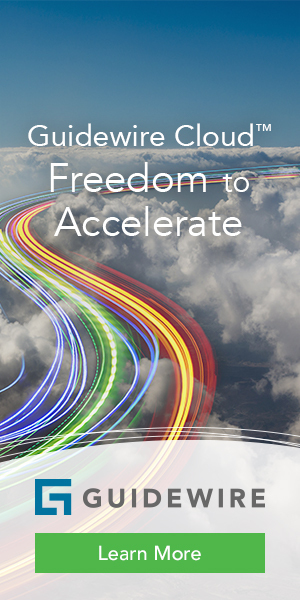 CoreLogic now offers the solutions via flexible delivery options, including API integration, on-premise, cloud or professional services. 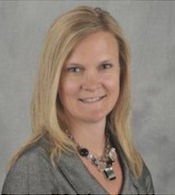 Staci Wellentin, Executive Product Management, Insurance and Spatial solutions, CoreLogic. 2017’s catastrophic wildfires were the costliest on record, with the California Department of Insurance reporting $12 billion in claims between October and December. Recent events underscore the need for this new, comprehensive U.S. Wildfire Model, which replaces the existing California Wildfire Model, to help insurers and mortgage lenders quantify the risk potential regarding how a fire burns, propagates, and is suppressed, as well as the viability of the structures facing these fires. The CoreLogic probabilistic U.S. Wildfire Model accounts for both burn and smoke damage, and incorporates more than 3.5 million probabilistic events. These are simulated events based on observed data which provide a comprehensive view across the full spectrum of risk, from individual risk underwriting through portfolio risk management. 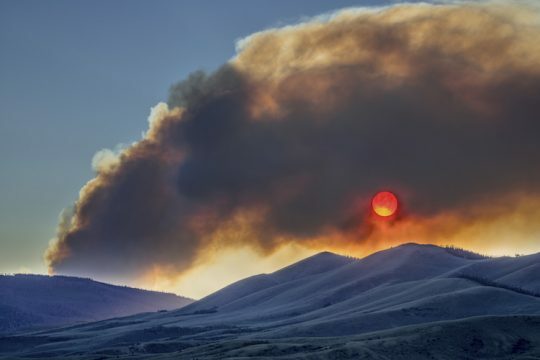 The 14 states included in the model, chosen for their high wildfire risk and resulting insurance losses compared to the other 36 lower risk states, are Arizona, California, Colorado, Florida, Idaho, Montana, New Mexico, Nevada, Oklahoma, Oregon, Texas, Utah, Washington and Wyoming. The model includes robust hazard definition, comprehensive agents of damage, local vulnerability functions, variable import resolution, detailed financial modeling, flexible reporting, and expert review. Severe convective storms are among the most common and damage-inducing natural catastrophes in the U.S., with population growth and economic development in prone areas contributing to increasing losses from this peril. The U.S. Severe Convective Storm Model includes nearly 4 million probabilistic events and incorporates the latest science, research, and post-event and historical data sets. The high-resolution modeling captures the extreme complexities of sub-perils including tornadoes, hail, and straight-line winds and their real-time impact on properties and automobiles across the lower 48 states. In addition to the standard risk view that considers the full spectrum of what has occurred in history, the model provides two additional risk perspectives: the La Niña phase and the El Niño phase, based on the ENSO cycle. This model is a full replacement of the existing model available up to and including RQE v.17.1. As the most significant category of natural disasters in the U.S., with annual economic loss increasingly exceeding billions of dollars, flooding represents a significant under-insured risk across the country. The highly-granular U.S. Inland Flood Model fuses 20+ years of experience in flood data with industry-leading risk solutions for a comprehensive, detailed view of flood risk. Time-sensitive data layers have been adjusted as part of an annual CoreLogic update to this model, including revisions to the flash flood layer in certain areas, and refined treatment of contents in buildings. Additionally, refinements to Smart Defaults include region-specific composite vulnerability curve mapping where the structure type is unknown, basement vulnerability, and low-rise, first-floor elevation and waterproofing defaults. Smart Defaults do the work of filling in unknown property information by providing a realistic estimate based on CoreLogic and building code data. These Smart Defaults refinements have also been propagated into the North Atlantic Hurricane Model to ensure flood results combining storm surge and inland flood are fully correlated and consistent. CoreLogic reports that it has made the new, updated models available via flexible delivery options, including API integration, on-premise, cloud or professional services, so that insurers and adjusters can more quickly and accurately assess risk in large areas across the U.S. Insurers can react quickly when catastrophes strike, and maintain detailed risk profiles as changes to the environment naturally occur.